WASHINGTON (AP) — The departure of Defense Secretary Jim Mattis in a week will thrust President Donald Trump’s largely unknown choice for acting Pentagon chief into the military hot seat and shift attention to the search for a permanent replacement who will probably face sharp Capitol Hill questioning about the administration’s murky foreign policy. Trump tweeted Sunday that Deputy Defense Secretary Patrick Shanahan will take over as acting head of the department on Jan. 1, elevating a former Boeing Co. senior executive with little experience in international affairs. Shanahan worked for Boeing for more than three decades and was a senior vice president when he became Pentagon deputy in July 2017. And his time on the job has been mainly focused on the business side of the department and its budget in excess of $700 billion. 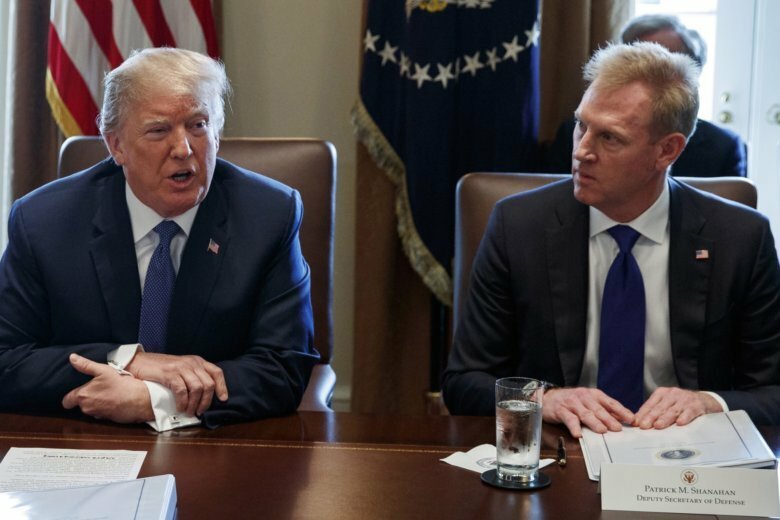 A White House official said that in the new year Trump wants to focus on streamlining purchases at the Pentagon, an issue on which Shanahan has already been working. The official asked not to be identified publicly discussing personnel matters. But there are looming policy questions about the wars in Syria and Afghanistan, including critical decisions about how the Pentagon will carry out Trump’s order last week to pull all 2,000 U.S. troops out of Syria, and withdraw up to half of the 14,000 American forces in Afghanistan. Both decisions trigger massive logistical challenges to get the troops and equipment out of both warzones safely, without further inflaming U.S. allies or boosting the aspirations of the enemy. A key unanswered question is what the administration will do for the U.S.-backed Syrian Democratic Forces, which have gotten weapons and training to fight Islamic State insurgents. The SDF will face almost certain attacks from Turkey, the Syrian government and IS once the U.S. leaves, and officials don’t know if the Syrian rebels will have to return the weapons to the U.S.
Shanahan hasn’t been to either warzone, and officials say he’s likely to depend heavily on Marine Gen. Joseph Dunford, chairman of the Joint Chiefs of Staff. Dunford is scheduled to leave the job and retire Sept. 30, and Trump has already said he is nominating Gen. Mark Milley, the Army chief, as the next chairman. Mattis’ departure signals an acrimonious end to a tense relationship between him and Trump that had eroded in recent months. Mattis hand-delivered a scathing resignation letter to the president on Thursday in protest over Trump’s decision to withdraw U.S. troops from Syria. In the letter, Mattis made clear that he didn’t see eye to eye with a president who has expressed disdain for NATO. That drew a critical tweet from Trump on Monday. The reaction to Mattis’ departure, however, sparked shock and dismay on Capitol Hill. U.S. officials said the fallout angered Trump and fueled his decision to accelerate the Mattis departure. U.S. officials said they don’t know if Shanahan will be Trump’s nominee to replace Mattis. During a White House lunch with conservative lawmakers Saturday, Trump discussed his options. They were “not all military,” said Sen. Lindsey Graham, R-S.C., who was there. Names that are quietly beginning to surface include some of the civilian leaders of the military services such as Air Force Secretary Heather Wilson and Army Secretary Mark Esper, an acknowledgement that someone who has already undergone Senate confirmation is considered a safer bet. Shanahan did not serve in the military. His father was in the Army and deployed to Vietnam. He earned a bachelor’s degree in mechanical engineering from the University of Washington, then a master’s in mechanical engineering as well as an MBA from the Sloan School of Management at the Massachusetts Institute of Technology. In addition to work in Boeing’s commercial airplanes programs, Shanahan was vice president and general manager of Boeing Missile Defense Systems and of Boeing Rotorcraft Systems. In a March 2016 report, the Puget Sound Business Journal called Shanahan a Boeing “fix-it” man who was central to getting the 787 Dreamliner on track after production problems in the program’s early years. Although Monday was a federal holiday and the Pentagon was fairly empty, Mattis was at his desk. Shanahan had already left for the holiday, but he has canceled a planned vacation and is expected back in Washington on Tuesday night. His offices were staffed Monday. Associated Press writers Robert Burns, Darlene Superville and Lisa Mascaro contributed to this report.